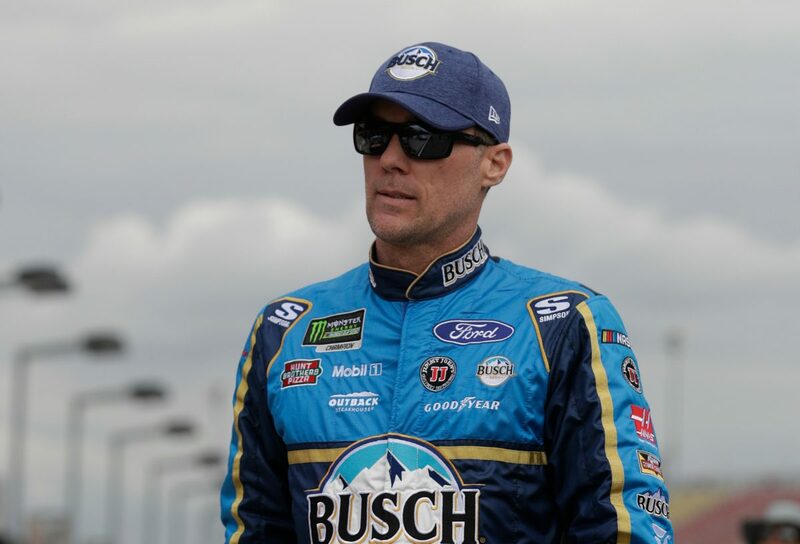 Harvick started 10th and after dropping to 12th, roared up to third place by lap 34. Contact with Kyle Larson on lap 38 as the two raced for position off turn two sent Harvick into the backstretch wall. Two trips to pit road were made to repair the No. 4 Busch Beer Ford Fusion, and Harvick returned to the track two laps down. At the end of Stage 1, Harvick was three laps down. Harvick’s bid for a fourth-straight win was effectively over. He came into Auto Club Speedway having won last Sunday at ISM Raceway near Phoenix, March 4 at Las Vegas Motor Speedway and Feb. 24 at Atlanta Motor Speedway. Started 37th and finished 36th. Gained one position when Trevor Bayne retired from the race. Began Stage 2 five laps down after making extended pit stops during the stage break to fix front-end damage. Ended Stage 2 six laps down. Started 36th and finished 35th, nine laps down. Picked up a position by passing Jeffrey Earnhardt for 35th in the race’s closing laps. Martin Truex Jr. won the Auto Club 400 to score his 16th career Monster Energy NASCAR Cup Series victory, his first at Fontana and first of the season. His margin of victory over second-place Larson was 11.685 seconds. There were five caution periods for a total of 21 laps. Only 10 of the 37 drivers in the Auto Club 400 finished on the lead lap. The next event on the Monster Energy NASCAR Cup Series schedule is the Martinsville 500 on Sunday, March 25 at Martinsville (Va.) Speedway. The race starts at 2 p.m. EDT with live coverage provided by FS1 beginning at 12:30 p.m.